Our bewitching mountain muse is famed for playing with the changing light; as seasons and sunsets come and go the colours dance across this range, rendering it living, breathing, moving. 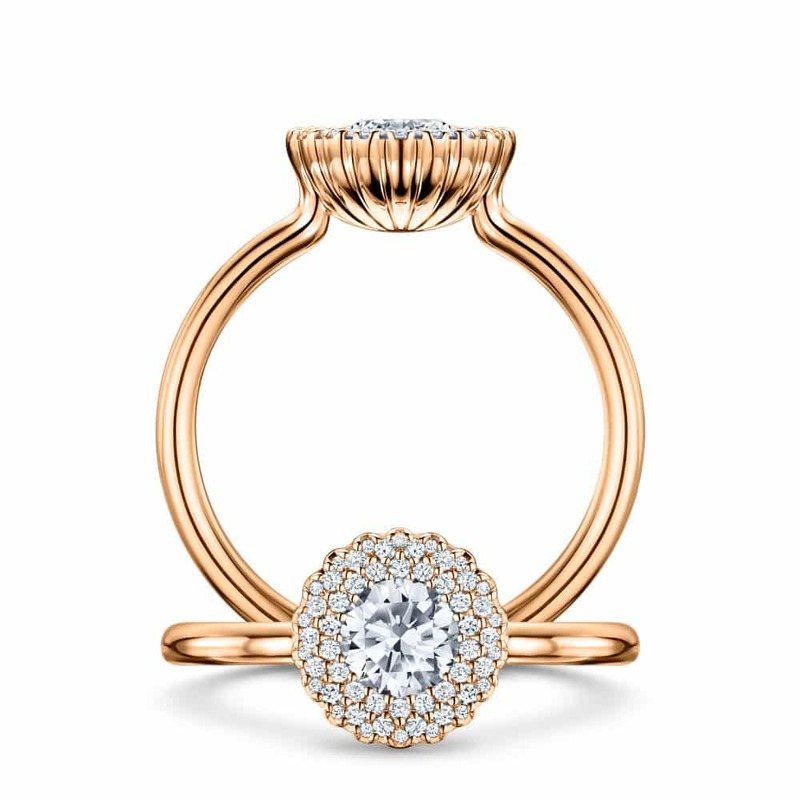 The Cannelé des Cévennes is designed to do the same – a bubbling stream of fine, intricately cut diamonds captures every change of light in its shimmering fire, surrounding a striking central stone, bright and clear like rural southern France’s summery skies. A fluted setting is the perfect, finishing flourish, and sits elegantly alongside the Cannelé des Cévennes wedding band. A deep surround of intricately set diamonds circles a stunning centre diamond held in the siganture fluted setting. The Cannelé des Cévennes collection comes in a range of divine gemstones and precious metals and as a wedding band; a diamond-set sweep, curved and fluted to sit perfectly alongside the engagement ring.